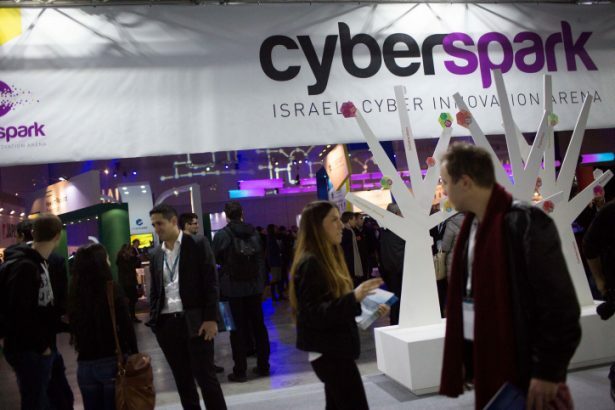 Leading multi-national corporates, SMB's, start-ups, private and corporate investors, venture capital firms, experts and clients attend the Cyber-tech Israel Conference and Exhibition in Tel Aviv, 26 January 2016. Photo by Miriam Alster. Flash 90. Israel’s innovative ability and technological prowess is a source of its global political power that was unimaginable a decade ago, says David Rosenberg, Haaretz Business editor and author of ‘Israel’s Technology Economy, Origins and Impact’. In this essay, Rosenberg describes how Israel is harnessing its technology advancements to build new political and economic relationships around the world, but warns of the challenges the country faces to remain at the forefront of the technology race. Download a PDF version here. Israelis are justifiably proud of their country’s high technology industry. It is a testament to their entrepreneurial abilities and a source of well-paid employment. It has attracted tens of billions of dollars in foreign investment and is environmentally friendly. It’s the industry of the future in which Israel is not only globally competitive but, in terms of pure innovative prowess, one of the world’s leading countries. ‘Start-Up Nation,’ as the sector has come to be called, is the envy of much of the world. What most Israelis don’t appreciate is that technology is also a source of global political power in a way that was unimaginable a decade or two ago. That is most obviously manifested in Israel’s growing relationships with the world’s up-and-coming powers, including China and more recently India. In addition, Israel’s research and development capabilities, and the presence of some 300 multinational companies in Israel, has put the country in a central position in the global technology supply chain that makes the efforts of the Boycott, Divestment and Sanctions (BDS) movement all but hopeless. Israel’s powerful technology assets are also expressing themselves in military terms – a role will only grow as cyber-warfare becomes a bigger and bigger component of a country’s offensive and defensive capabilities – and intelligence gathering. Technology has played a role in power relationships since the dawn of civilisation. David’s slaying of Goliath aside, the Philistines were able to prevail over the Israelite tribes because they had access to iron weapons. With the onset of the Industrial Revolution, the (mostly European) countries that had the ability to mass produce were able to dominate and even conquer more traditional societies still reliant on agriculture and handicrafts. It wasn’t just the ability of industrialised countries to deploy more effective weaponry but to create a material culture, infrastructure and level of wealth that overwhelmed rivals. By the second half of the 19th century, the role of technology – or more precisely industry, as it was seen in those days – was well understood by world leaders. Understanding its dangerous weakness vis-à-vis the Western world, Meiji Japan undertook a massive industrialisation drive starting in 1868. The Ottoman Empire in its waning days sought to do the same by importing Western experts, weaponry, and machinery – alas only with the idea of strengthening its armed forces rather than to foster an industrial or technological revolution. In more recent times, a major element of the Cold War was the race for a technological edge – a process that in the US led to the space programme, the internet and, via government contracts, the first Silicon Valley companies. In the 21st century, technology has become even more important and is changing more rapidly than ever before, leaving countries perpetually at risk of falling behind. It has penetrated all aspects of economic life and in an interconnected world has become increasingly unavoidable. One small though critical example is the automobile industry, which was focused on technologies whose core was the internal combustion engine, a late 19th-century technology. Digital technology was marginal to the workings of an automobile. Now, however, between the demand for electric vehicles and the advent of autonomous cars, digital technology is becoming a key focus of automotive development. Veteran car makers don’t have that expertise and so they have turned to the high-tech industry to fill the gap in the form of partnerships and mergers and acquisitions. The revolution in auto-making is so deep that Israel, a country with no automotive industry but powerful innovative capabilities, has drawn vast interest from the world’s automakers. Technology – and in particular the ability of a country to innovate – is, then, the foundation of a 21st century economy. Without it, no country can aspire to be a leading power or enjoy a high and growing standard of living. States not only need the most advanced technology at their disposal but the ability to create and effectively deploy it. President Donald Trump’s trade war with China illustrates how critical technology has become in terms of economic, political and military power. The president’s concern about China is not only about its huge trade surplus with the US but about China’s technology ambitions as evidenced by ‘Made in China 2025,’ a government-led programme to retool the country’s industries to compete in areas like automation, microchips and self-driving cars. In a world economic order increasingly driven by technology, Israel is among the world’s top powers in spite of its small population and economy. The Global Innovation Index (GII), a widely acknowledged barometer, measures technology prowess by way of inputs such as spending on schools, quality of government institutions and intensity of market competition (on most of which Israel scores relatively poorly) and outputs such as patents filed, research and development, spending relative to GDP and tech exports (in which Israel scores very high, in many case No. 1 in the world). Overall, Israel ranks 11th in the GII index for 2018, but from the point of view of power it is the outputs that are critical. It ranks third in the world for R&D capabilities. It is first in the percentage of researchers in its business enterprises, first in the ratio of R&D spending to GDP, third in collaboration between universities and business, seventh in per capita patents and so on. All of these figures testify to a remarkable level of innovation. Where Israel is less developed is on the level of turning the fruits of this innovation into large sustainable businesses. The reasons for this are too complicated to address here, but what it means is that Israeli innovation is available for the world to exploit. 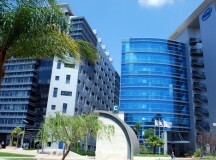 Two important measures of this phenomenon are the extent for foreign R&D in Israel (about half of R&D spending in Israel is by multinational companies like Intel and Apple) and the other is the extent of cross-border mergers and acquisitions, where typically an Israeli high tech start-up is bought by a global industry leader. This combination of innovative ability and the absence of a technology industry positions Israel not just as a tech power, but one that rising economic powers are anxious to do business with. That differentiates Israel from most of the other global technology leaders in the US, Europe and Asia, which seek not only to be leaders in innovation but also to build and sustain industries that employ that innovation. Again, the automotive industry illustrates the point: The Israeli auto-tech industry is purely about innovation – there’s no domestic automobile industry to employ it and the government has no reason to guard it against foreign competition. The result is that automakers from around the world are investing in, partnering with or even buying Israeli start-ups. The growing China-Israel relationship is the most obvious manifestation of the importance of technology, although it is by no means the only one. China is an enormous industrial power, but as the ‘Made in China 2025’ initiative shows, Beijing wants to ascend the value chain. It is no longer content to be a low-cost manufacturer in a global supply chain where the innovation and value-added belongs to the Western countries that are home to the world’s Apples, Intels, Samsungs and Ericssons. There is perfectly good economic logic to the drive: China cannot become a wealthy economy that delivers ever higher standards of living unless it can make the leap forward. China, which ranks 17th on the GII list, learned a bitter lesson last spring about how far it still needs to go in developing its technology capacities when the US briefly barred the Chinese cellphone maker ZTE from buying the US components after it was found guilty of evading American sanctions on Iran. Without access to American microchips to power its wireless stations, American components for its optical fiber networks and Google’s Android operating system to run its smartphones, ZTE was on the verge of collapse – until it reached a last-minute deal with Washington. It is unknown how big this investment is. Israel Venture Capital Research, in a report last February, said Chinese investment in Israeli high-tech companies had grown 2.4 fold between 2013 and 2017, albeit accounting for just 12 per cent of the total in 2015-17, or $1.65bn. Chinese companies have barely factored at all in acquiring Israeli start-ups, with the notable exception of the $4.4bn purchase of Playtika in 2016. However, Amir Gal-Or, managing partner of the Chinese-Israel equity fund Infinity Group, says those figures greatly understate the true level of Chinese investment, much of which is done out of the media spotlight. In any case, the relationship is just starting and is hindered by a huge culture gap that will take time to overcome. On an academic level, the biggest manifestation is the Guangdong Technion-Israel Institute of Technology, a China-based engineering school and research centre sponsored by Israel’s Technion and China’s Shantou University, with a planned enrolment of more than 5,000 students. The academic and business links are not only about helping Chinese businesses to move up the technology ladder but about devising tech solutions to the challenges China faces on environmental, water and food issues to name a few. On his 2017 visit to China, Netanyahu brought 100 technology executives along with him, met with Chinese business leaders and timed his visit to attend a bilateral innovation conference. As Matan Vilani, Israel’s ambassador to Beijing told Reuters at the time, the goals of the prime minister’s visit are ‘very simple: technology, technology, technology’. What is interesting about the bilateral relationship is that in conventional economic terms, Israel is not an important partner for China. In 2016, two-way trade equaled $11.35bn, or just 0.3 per cent of China’s total. China is engaged in major Israeli infrastructure projects, building ports and railways, but from Beijing’s perspective these are relatively small. Chinese companies have bought a handful of Israeli non-tech companies, most notably Israel’s biggest food maker, Tnuva, but again by Chinese standards these are small. 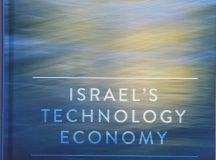 In old economic terms, it is a ‘tiny economy’ and the infrastructure projects are tiny by global standards – it’s only in technology that Israel is a major global player. An Israel-China partnership based on technology has been simplified by Beijing’s policy of separating its overseas economic and political interests, with the former more often than not taking priority. In the developing world, this separation barrier means that Beijing doesn’t allow corruption or egregious human rights violations to interfere with trade and investment. With regards to Israel, Beijing keeps relations with Israel and the Palestinians on separate tracks, which effectively favors Israel. Thus, China in the UN supports pro-Palestinian resolutions (which have little long-term consequences) while doing business with Israel (which is far more important to both countries). Israel is rapidly developing the same kind of technology-based relationship with India, the other great rising Asian power. For many years, Israel and India maintained strong military ties, but those were conducted in quiet as New Delhi espoused the Palestinian cause in the name of Third World solidarity and to placate its large Muslim minority. Under Indian Prime Minister Narendra Modi that has rapidly changed – in part because Modi identifies with Israel’s intense nationalism, but on a more practical level because he sees Israeli technology as a way of buttressing Indian industry and helping his country address the same kind of environmental and agricultural challenges that China faces. The bilateral relationship is now out in the open, evidenced by his trip to Israel in July of last year and reciprocal visit to India by Netanyahu last January. Defence and intelligence ties have grown to the point that Israel is among India’s top three or four arms suppliers. This is a remarkable achievement because Israel doesn’t make platforms like fighter jets, ships or tanks that each sell for tens or hundreds of millions of dollars, but high-tech weaponry from Phalcon radar systems, to UAVs and laser-guided bombs. More recently, the bilateral relationship has begun evolving away from its focus on defence and toward technology and business. That is because India has undergone a major change in its mindset, seeing technology as a solution to the country’s many challenges in providing for its huge and growing population and sustaining economic growth. Under programmes like Digital India, Make in India and Startup India, the country is seeking to harness and upgrade its innovative capacity, which until now has been focused on providing software development and services to Western companies. Indian demand for technology is growing, most notably from the explosive growth of mobile internet, and the government is keen for home-grown tech companies to meet it. Nevertheless, India has a long way to go; on the GII it ranked just 60th in 2017 and R&D spending is just 1 per cent of GDP, which requires overseas partners to meet its goals. Israel’s technology strengths are in many of the areas India wants to advance – agriculture, water, cybersecurity and big data. In defence, Israeli companies like Israel Aerospace, Rafael and Elbit Systems have shown a much greater willingness than their rivals in the US, Europe and Russia to form joint ventures with Indian companies and share their intellectual property. During Netanyahu’s India trip in January, Modi urged local companies to make the most of Israeli technology in the fields of water conservation, agriculture and cybersecurity. ‘The entire world is influenced by the technology and creativity of Israel. Israel has proven to the world that it is the people’s resolve, not the size of a nation, that takes it forward,’ Modi said. Vis-à-vis the Western world, Israel’s role as an innovation partner is obviously less critical. For both Europe and the U.S., diplomatic relations revolve around Israel’s role as a regional military power, the Palestinians and, in particular for Europe, concern over Israel’s respect for human rights. In contrast to the rising Asian powers, economics and technology take a back seat for the West in its relations with Israel. 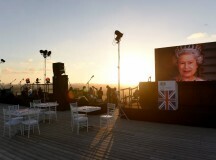 Nevertheless, technology plays a mostly unspoken but increasingly central role in terms of raising Israel’s international standing and its ability to resist the BDS movement and other efforts to delegitimise the state. The principle reason is the presence in Israel of so many multinational technology companies, including virtually all of the industry’s most powerful players. Their presence is the outcome of Israel’s unusual ability to generate so much innovation in the form of start-up companies. In any given year, scores of the companies are acquired by multi-national companies and are turned into Israel-based research and development centers for the acquiring companies. The result is that today Israel is home to some 300 such R&D centers, employing tens of thousands and playing a critical part in what could be called the global innovation supply chain. The global tech industry doesn’t engage in the same kind of high-intensity lobbying as, say, the energy industry does; nevertheless, it forms a powerful interest group in support of Israel that is not replicated in any other major industry. Israel’s global standing is also being enhanced in the military sphere by the growing role of cyberwarfare. For decades Israel has relied on its technology to give it an edge over its enemies and their demographic and territorial advantages. But, as successful as that policy was, technology could only win Israel a place as a regional power because the geographical reach of even the most advanced weaponry was limited and it did not have the enough men or materiel to deploy forces very far from its borders. In the age of cyberwarfare, there are no limits and, more so than in conventional warfare, technology is what gives one country the advantage over another. Thus, a key part of the drive to rein in Iran’s nuclear ambitions involved a joint effort by the US and Israel to develop and deploy the Stuxnet to damage the Iranian programme. Its ability to conduct sophisticated cyberwarfare of that kind is enhancing Israel’s value as an ally to the West. Israel’s important place in global high-tech presents the BDS movement with an effectively unsurmountable challenge. To boycott companies that do substantial business with Israel would mean shunning products and services made by Apple, Google, Microsoft, Intel and Amazon, to name a few of the most high-profile examples. The technologies produced by Israeli companies are so deeply embedded in the products and services of other companies that it would be impossible to identify and target them. The result is that BDS has limited its business boycott to a handful of mostly minor, consumer companies whose economic impact is marginal and (more successfully) to symbolic academic boycotts and an occasional performing artist. Finally, Israel as ‘Start-Up Nation’ has become associated with cool technology. For younger, secular people that is an association that speaks to them more than Israel as the Holy Land or as the Jewish national home. It does a lot to counter-balance the country’s baleful image as a place of perpetual conflict, violence and religious fanaticism. The Foreign Ministry has certainly learned that.A look at its website shows sections devoted to traditional hasbara such as the fight against terror and justifications for settlement, but also a section devoted to ‘Innovative Israel’. Technology is likely to play a greater and greater role in international relations in the years ahead. The rapid pace at which technology continues to develop and its inescapable ubiquity means that the competition for the economic and military advantages that innovation brings will only become fiercer. For Israel, being an important technology power brings risks as well as benefits because its actions have potentially far-reaching consequences. Thus, Israel’s growing technology ties with China have begun to arouse fears in Washington that they could end up being exploited by China’s military. ‘The Pentagon is … worried that Israel could become a back door through which China could acquire capabilities that it could not get in the US due to regulatory scrutiny,’ Lee Branstetter, a professor of economics and public policy at Carnegie Mellon University’s Heinz College, told the BBC this summer. He warns that the US could impose limits on technology ties to prevent that. A much bigger risk, however, arises from Israel’s ability to remain at the front of the technology race. More than anything else, that is a human resource challenge and especially critical one for a tiny country which has to devote a disproportionate share of its population to tech or lose the minimum scale it needs to remain a global factor. In that respect, combination of poor schools and a growing ultra-Orthodox population are worrying developments.